The best part of latest SSMS is “It’s Free” yes, now it doesn’t require any SQL Server license to install and use latest SSMS, isn’t it great for all the developers out there? New authentication option ‘Active Directory Universal Authentication’. This is a token-based authentication mechanism driven by Azure Active Directory that supports multi-factor, password, and integrated authentication mechanisms.Limitation: Only a single Azure Active Directory account can log in for an SSMS instance using Active Directory Universal Authentication. 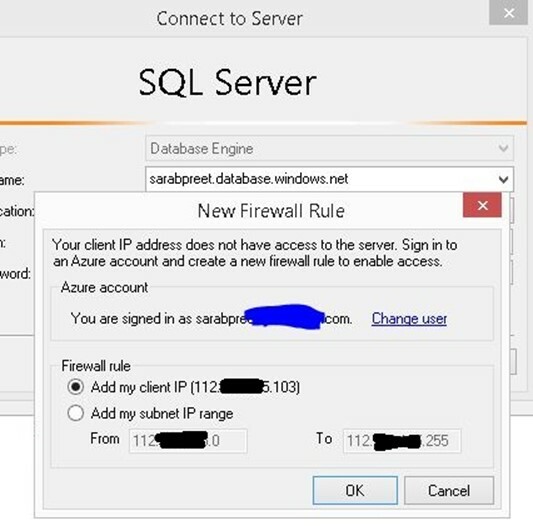 This restriction is limited to Active Directory Universal Authentication – you can log in to different servers using Active Directory Password Authentication, Active Directory Integrated Authentication or SQL Server Authentication.Workaround: As a workaround, you can use another instance of SSMS to login as another Azure Active Directory account. New Create database and database properties dialogs for Azure SQL databases. Support for filtering in the ‘Databases’ node of SSMS Object Explorer. Navigate to the ‘Databases’ node in Object explorer and click the filter icon in the Object explorer toolbar to filter the list of databases. Improvements in Database Engine Tuning Advisor (DTA) to support automatically reading a workload from the SQL Server Query Store. Improvements in Database Engine Tuning Advisor (DTA) to display index recommendations for clustered columnstore indexes, non-clustered columnstore indexes, and rowstore indexes. 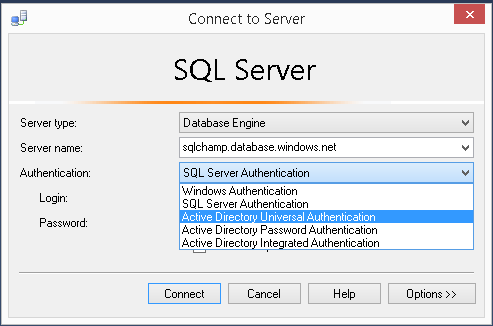 Add Client IP or IP Range for an Azure SQL Database\Server right from SSMS login Dialog. 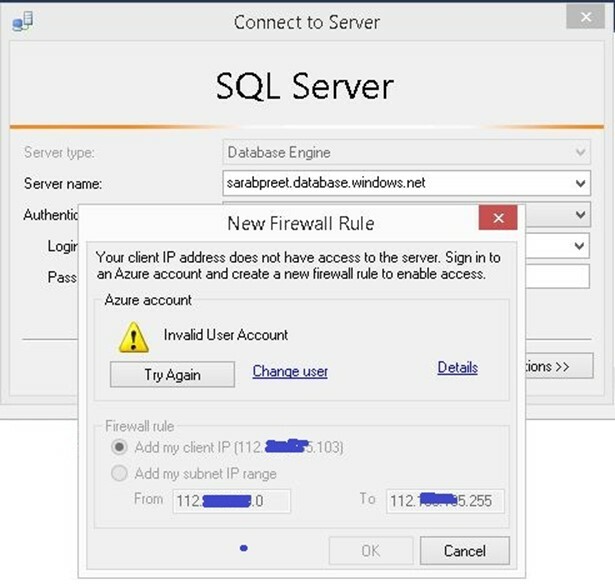 If you are working on Azure SQL Database and unable to connect due to changed IP you don’t have to login to Azure portal to make the necessary changes, you can add the client directly from SSMS as shows below in the screenshots. There are many other benefits of using latest SSMS, for the complete list refer MSDN. We discussed just a few benefits of using latest SSMS. I advise you to always try to be on the latest release when ever working with Azure. Thanks/ Hope you got answer to your questions! Happy Learning!